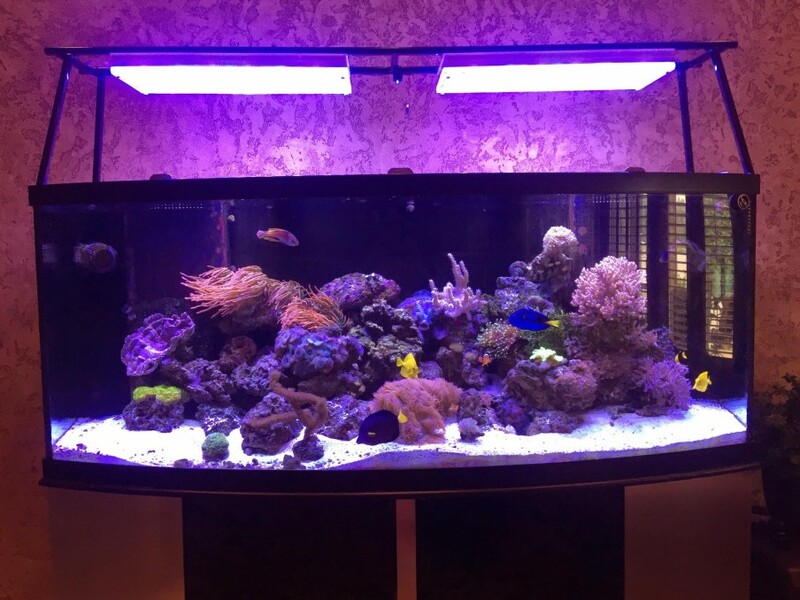 Our client Trip P. has sent us some photos of his 2 new Atlantik v2.1 units over his 175g reef tank. 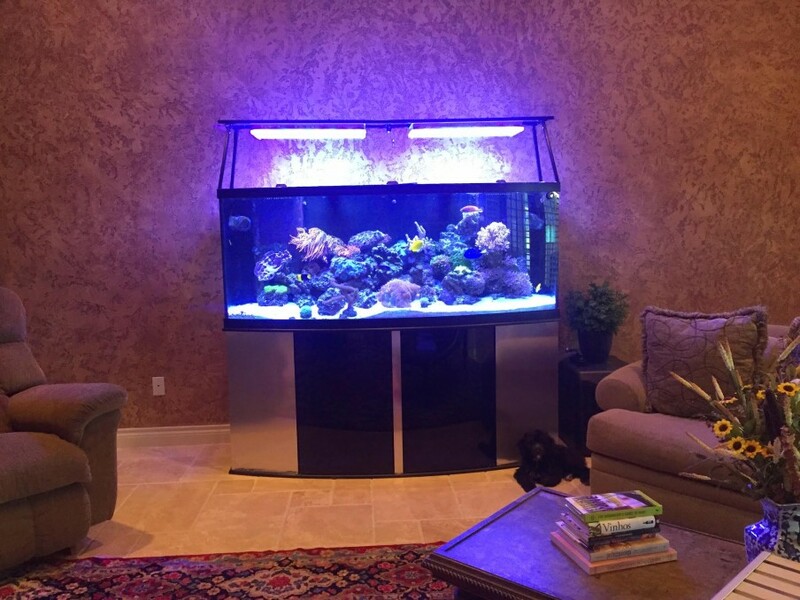 Our client in Texas sent us these photos of his 175 gallon bowfront tank with the Orphek Atlantik v2.1 units installed. Trip is already seeing color improvements over his old T5 lighting and loves the wifi control as well as dusk and dawn features that the Atlantik wifi program gives. 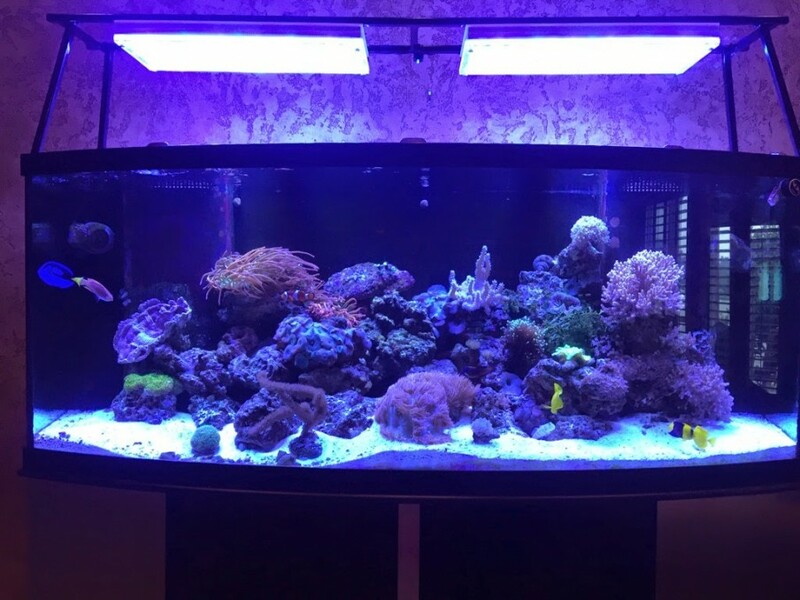 We are looking forward to seeing this tank growout and further updates from Trip. It’s a beautiful home aquarium and deserves the best. Photos are courtesy of Ben at Captive Aquatics Ecosystems in the greater Houston, TX. Area. Captive Aquatics offers consultation and maintenance services locally. Additionally owner Ben Johnson is available for consultation/installation services across the US. Be sure to check out their facebook page here.